As per the leaked poster, the smartphone may sport a Super AMOLED display and in-display fingerprint scanner. The display design that the poster shows, neither the notch nor the punch hole is visible. 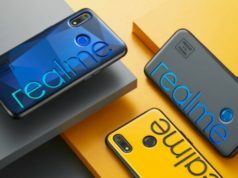 Under the hood, the smartphone may be powered by Qualcomm Snapdragon 675 chipset which got announced last year in the month of October. 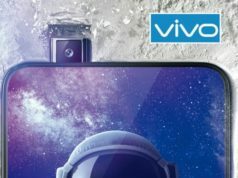 The subsidiary brand of BBK Electronics, Vivo, is all set to launch a smartphone on February 20 in India. 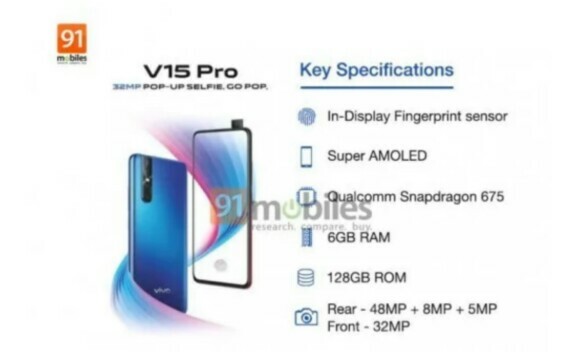 The smartphone is speculated to be none other than the Vivo V15 Pro, the specs of which is leaked by 91 Mobiles. 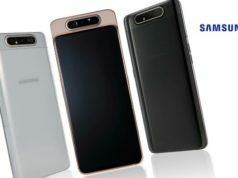 The leak has surfaced online in the form of a promotional poster which shows the handset to the left while it’s key specifications on the right. 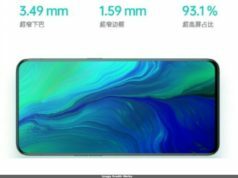 Notably, this is not the first time when 91 Mobiles has leaked the information about Vivo V15 Pro, earlier as well the site had leaked the information about the smartphone. As per the latest leaked poster, the smartphone may sport a Super AMOLED display and an in-display fingerprint scanner. The display design that the poster shows, we can’t see neither the notch nor the punch hole. 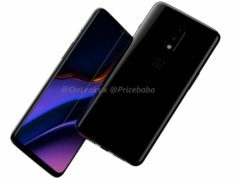 Under the hood, the smartphone may be powered by Qualcomm Snapdragon 675 chipset which got announced last year in the month of October. As per the information available for this chipset, it runs on 11nm Octa-Core processor clocked at up to 2.0GHz. The smartphone may also feature Adreno 612 GPU technology, coupled with 6GB RAM. The internal storage is reported to limit to 128GB, however, no further information about expandable memory is available in the leak. 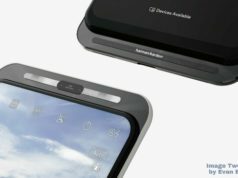 On the optics front, the smartphone may sport a triple lens camera at the back with 48-megapixel primary sensor, 8-megapixel secondary sensor and 5-megapixel tertiary sensor backed by an LED flash. For the selfie camera, the device shows the presence of a pop-up camera, this time around, to the right of the top end of the smartphone vis-a-vis the trend of pop-up camera on the left. It may sport a 32-megapixel front camera sensor, possibly, with AI technology which the poster doesn’t reveal. The price and availability aren’t revealed too in the poster leak, however, speculations has it that it may get launched on February 20 with a price tag of around Rs. 25,000. Next articleCBI Vs Mamata Banerjee: Has Didi launched a Political War against Modi-led Central Government?